She Can Help You Can! 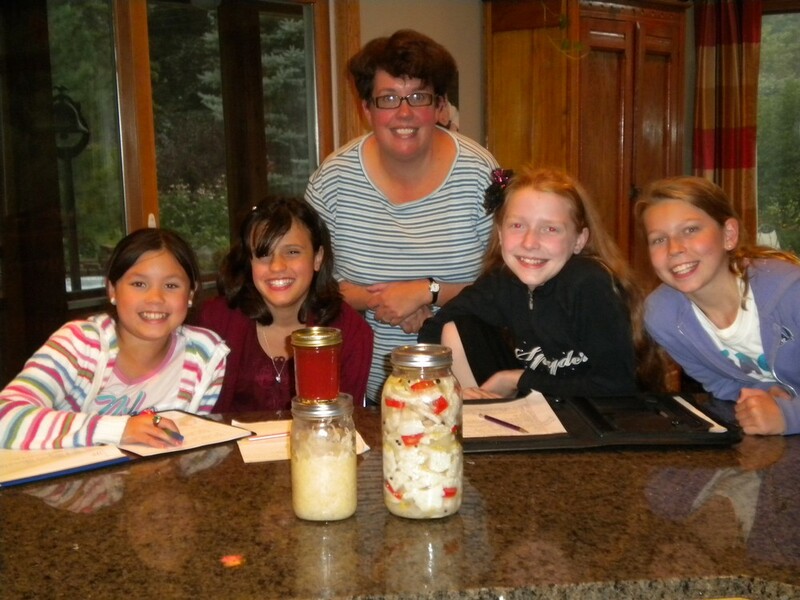 We interviewed a stay at home mom who has been canning for 18 years. She taught us good things about canning and bad things about canning. Let’s talk about the pros of canning. First of all, it can be cleaner and safer for kids because you know what goes into the can, if the can is washed, and what preservatives are in the can. You also can make and can whatever you want to. It could be veggies, jam, jelly, fish, bacon, tomatoes… anything. Also, you can keep correctly canned, unopened things forever. But now let us talk about the cons of canning. When you can you have to sterilize the cans so that it gets all of the bacteria out. But you do not know if it is really sterile. If it is not sterile enoguh then the bacteria is still inside of the can and bacteria can still grow. Also, when you can you must have enough citric acid in the food that you are canning. It is really hard to tell if you have enough acid in the can to have the can canned safely so some people put lemon juice inside the can with the food in it to make sure that the food has enough citric acid inside. Another problem is once you open a can you only have a couple days to eat it, otherwise bacteria can grow. Canning can be more expensive if you do not buy and plant your own seeds to make the food you put in the can. For instance, you might be canning tomatoes and you are doing a recipe that needs 12 tomatoes and at the store 6 tomatoes might be 6 for 5 dollars. But if you just buy the canned tomatoes they might be on sale for 3.00 dollars. These are some of the things that we learned about canning from interviewing an expert in canning.